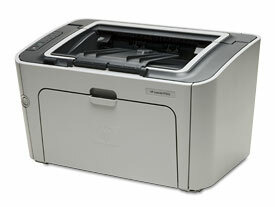 HP LaserJet P1505 Printer is on sale at Staples. While other stores still sell this printer for the regular price $199.99, Staples is giving $100 off. $100 for HP LaserJet P1505 Printer— it is 50% discount! Hurry up or the deal will end. The HP LaserJet P1505 is a 23 ppm, monochrome workgroup laser printer. From the review of the HP LaserJet P1505 Printer at PCWorld, it has a good user rating. At the small size of 15″ x10″ x9″, this printer is easy to use in a small office. HP LaserJet P1505 Printer is also relatively light, weighing in at mere 13 lbs. Holding 250 sheets without using optional trays; HP LaserJet P1505 Printer goes longer between refills than many other printers. HP LaserJet P1505 Printer has great features for an inexpensive price. The toner cartridge for HP LaserJet P1505 Printer is HP LaserJet 36A (CB436A) Black Print Cartridge. At 123ink.ca, we offer you one of our best compatible toner cartridges — HP 36A (CB436A) Compatible Black Toner Cartridge with a low price $42.99. Approximate cartridge yield is 2,000 standard pages. The quality of our HP 36A (CB436A) Compatible Black Toner Cartridge is tested by hundreds of our clients; we never hear any complaint and return from them. HP 36A (CB436A) Compatible Black Toner Cartridge is not only compatible with HP LaserJet models like P1505, P1505n, but also with M1522N, M1522N MFP, etc. Click here to shop HP LaserJet P1505 toner cartridge from us.